Spring time in North Texas is known for sometimes fierce weather, but the summer can also bring thunderstorms and sometimes tornadoes to the area. 1. Plan your response: In a thunderstorm, if you're outdoors, take shelter in a sturdy building. In the event of a tornado, seek shelter in the interior of the building away from windows and exterior walls. An interior bathroom or closet is always a good choice. 2. Remember the 30/30 rule for lightning safety: The first 30: if there are 30 seconds or less between seeing the lightening flash and hearing thunder, go inside immediately. That means lightning is close enough to hit you. The second 30: wait 30 minutes after the last lightning flash before going outside again. Lightning is dangerous. 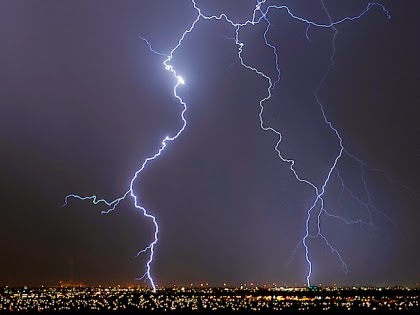 An average of 62 people are killed by lightning every year. 3. 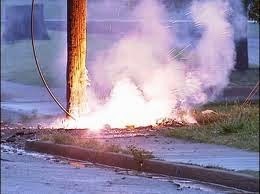 Avoid downed power lines: If you see a power line that has fallen or is hanging low, do not go near it. Call 911 and let the professionals take care of it. 4. Inside precautions: Remember when you were growing up and your Mom said to stay out of the bath during the storm? That still rings true today. Even inside, it is wise to take precautions. Avoid doors and windows, use wireless phones and stay off the land line, and unplug sensitive electronics. 5. 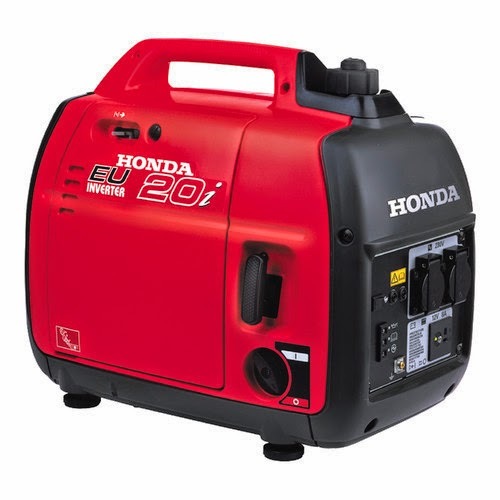 Backup generators: Although it isn't as crucial an investment here in our area as it may be in others, if you have one be sure you have plenty of fuel and it is wired properly. 6. 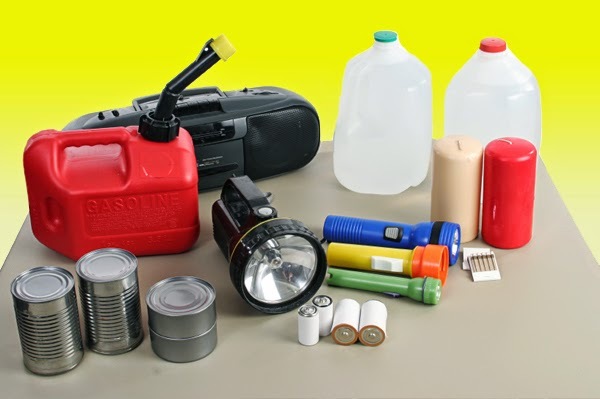 Prepare a lights out kit: Power outages happen; sometimes lasting for hours and even days. Be prepared with flashlights, extra batteries, a battery powered weather radio and food that does not require refrigeration or to be cooked. Also include water, medicines, baby and pet supplies plus a first aid kit. 7. Set your refrigerator and freezer to their coldest settings: Make extra ice if you can and avoid opening the doors if you don't need to. 8. Remember the 3 C's - Car, Cash, and Cell Phone: Fill your car's gas tank, pick up some extra cash from the ATM in case of power outages and keep a full charge on your cell phone. Most cell carriers offer a battery power pack for many phones on the market too. Keep in touch with local weather conditions through the network stations - most even have weather apps you can download to your smart phone and tablet. Remember, the Grove Team is not just your local real estate professionals. We are available as a local resource for all things in Northeast Tarrant County too.